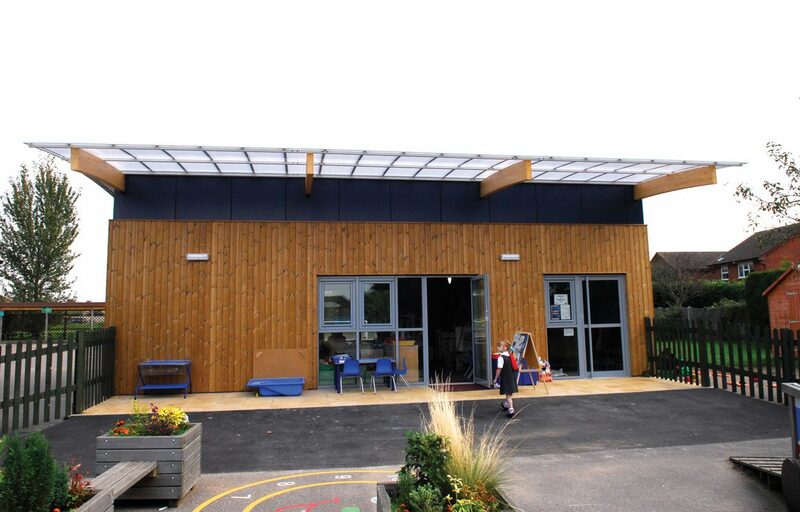 Sustainable early years classroom building for Grovelands Primary School. 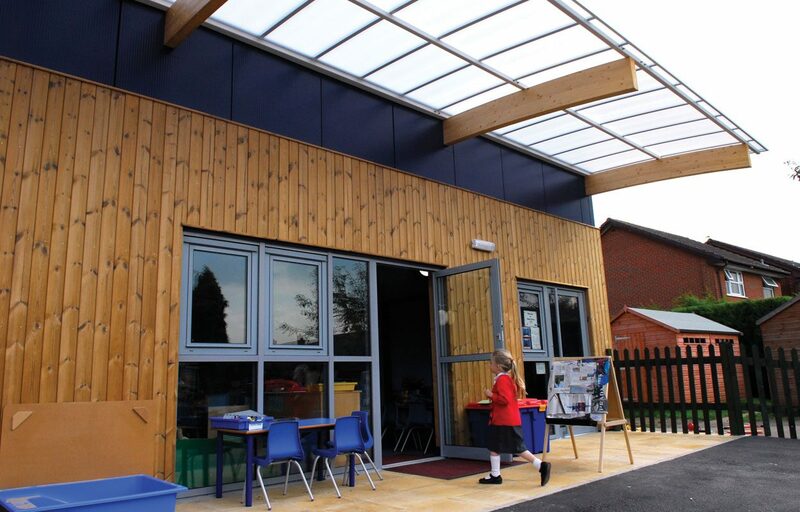 This 120m² single story building provides a flexible classroom space for Grovelands Primary School. 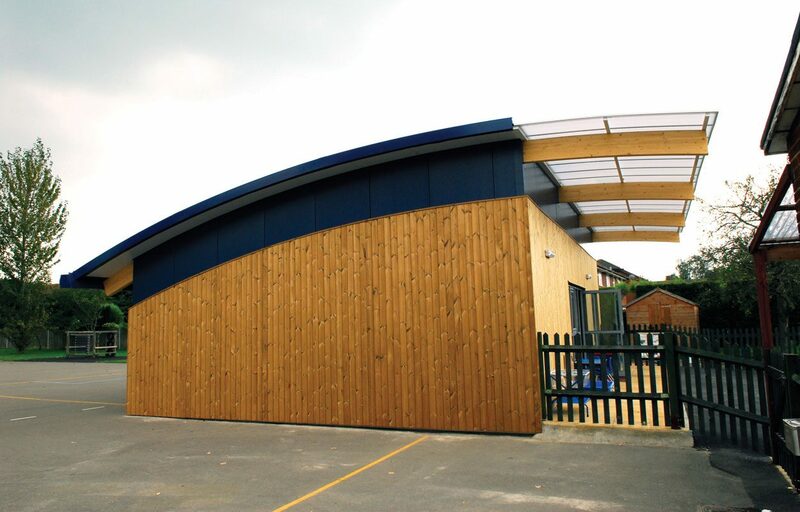 A curved sustainably sourced FSC accredited glu-laminated timber-frame. 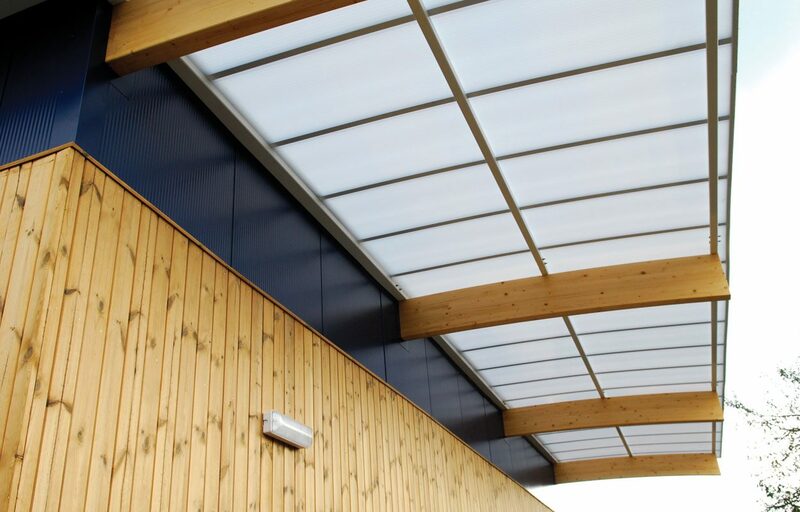 Low maintenance highly insulated composite panel walls and roof. Joints are sealed for air tightness to reduce heat loss from the building. 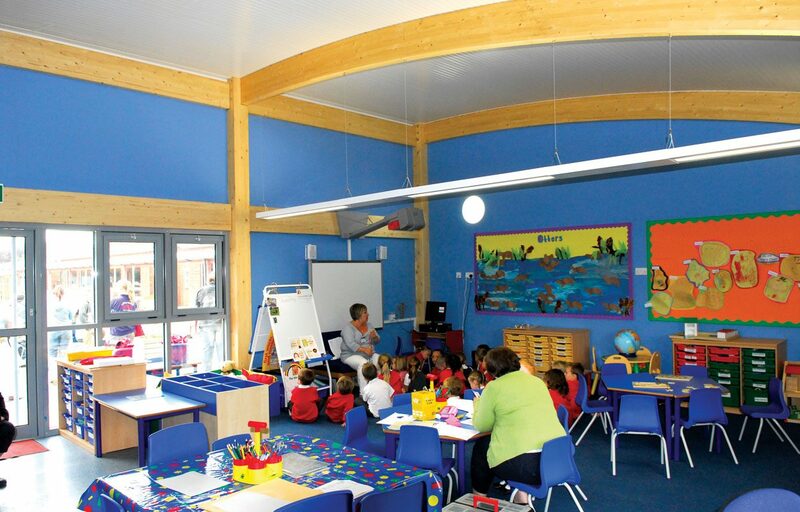 Our wall panels come in a variety of colours. 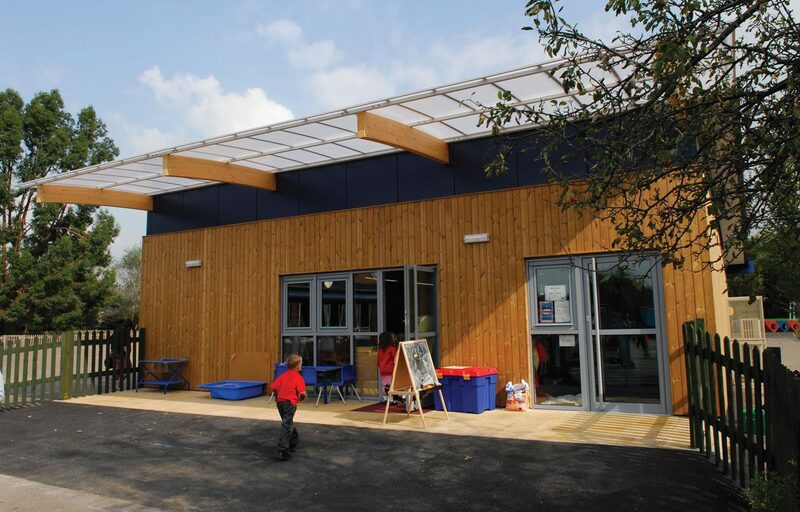 For Grovelands we used an attractive dark blue to contrast the external thermowood cladding. Underfloor heating system supplied by an air source heat pump. 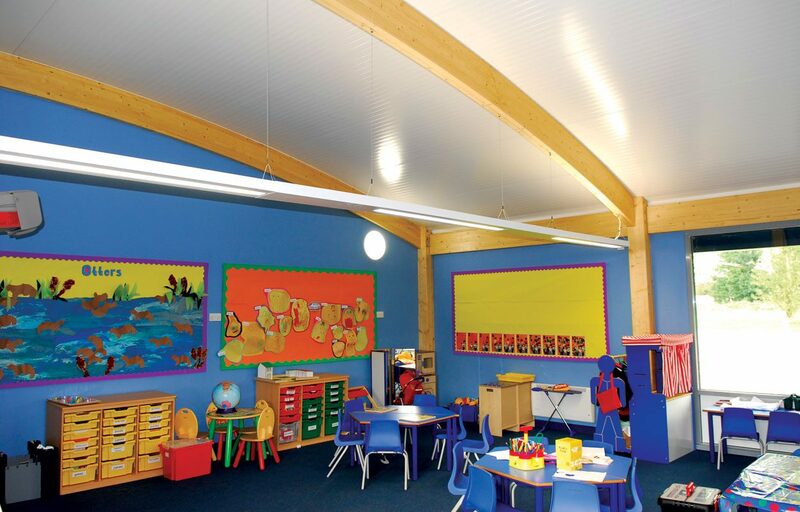 This system provides a comfortable even heat with exceptionally low energy demand. Argon filled double glazed window units with low emission coating.